On yet another unusually warm January weeknight in Fayetteville, AR, Brooklyn-based Eliot Lipp played an energetic, upbeat show. The crowd was a bit sparse, likely due to the fact that it’s a new year (people make resolutions to save money, not go out, etc.) and the show was on a weeknight. But unlike some much larger shows, it seemed each person who bought a ticket to the show was there for the music. However, pretty much everybody seemed wasted out of their bones, so hopefully a few rad folks who love Eliot Lipp have resolved this year to spend MORE time at concerts and in bars! Starting off the show was a duo called Tilleytime & Carson Smith. They were pretty fun, and seemed to be having a great time playing for the audience! Then another duo, Wookie Disco, flooded the stage with their sweet beats and live instrumentation. Their sound consisted of funked-up beats and a jam-style twist. According to their SoundCloud bio, Wookie Disco’s sets feature ‘the addition of live instrumentation that makes each and every night different and unique.’ This time they featured congas; maybe next time it’ll be a stringed instrument or the electric triangle! Oh the possibilities! After what seemed like a rather long set of openers (not that I’m complaining, it was good music), Eliot Lipp came onstage and immediately started throwing down. Like many electronic artists, there wasn’t a lot of talking and jabbering. And when Lipp did speak, it was only to announce the next song was new or to say ‘yeah!’ He played quite a tracks few from his newest album, Shark Wolf Snake Rabbit, as well as a few I recognized from other recent albums. With over 8 years of experience under his belt, Lipp knows how to throw a show for a college crowd. It’s one of human’s greatest talents, I think - having the ability to adapt to your current environment. And what do you do when you’re in a college town? Remix some rap, throw in a few unique tracks and make them dance. Each of the audience members were excited about the show, to say the least. Some were pumpedohmygodyeahbrahthisshitisawesomebestdayofmylife, to be more exact. And the few others (myself included) grooved and danced and soaked up his innovative, captivating style. Lipp couldn’t have asked for a better, more enthralled audience that danced their asses off until almost closing time. Hopefully we’ll get to see Lipp in Fayetteville again sometime soon. He seems to frequent the area more than a lot of artists these days. And if you’re reading this from afar, check out his tour schedule. 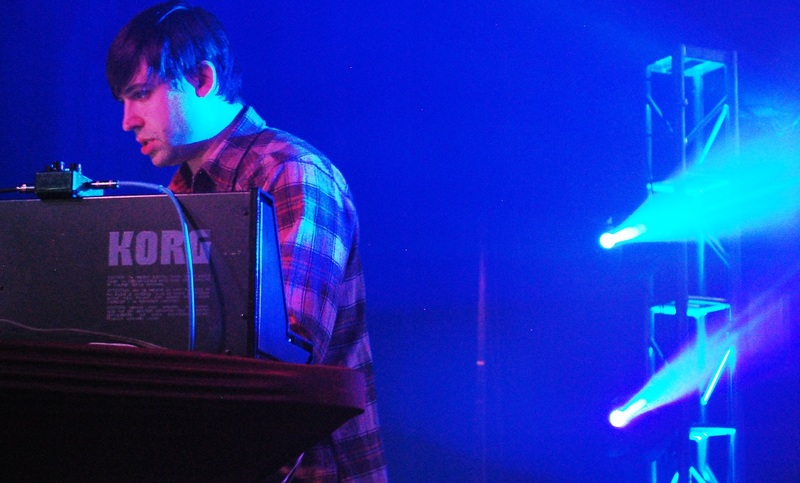 He’s throwing down across the U.S. right now, and some of his upcoming shows are with Emancipator and Tor.